This is a documentary shot by director Werner Herzog (Bad Lieutenant: Port of Call New Orleans, Rescue Dawn) in 3D. With only limited time and access, he explores the Chauvet Caves in southern France. He exposes us to the ancient cave paintings left by the Neanderthals, who belonged to what Herzog calls a distant world. At ninety minutes long this is strictly for academic lovers of art, cave aficionados and possible cave dwellers. Herzog, who narrates much of the film, has made this as a purely factual documentary. Unlike other documentarians, like wannabe comedians Michael Moore and Morgan Spurlock, there’s less emphasis on personality or an attempt to inject Herzog’s self into the frame. You don’t learn about him or his crew. It’s just the facts. What there is of Herzog, mostly his voice over, projects him as deeply passionate about the subject matter. Some will relish his input but I find parts of his narration to be a little too colourful and long-winded, like when he compares the landscapes to a Wagner opera or starts marking parallels between humans and mutated albino crocodiles right at the end of the film. When the film focuses specifically on the cave art it’s more satisfying. There are interesting points here such as how the rock faces were used like an easel to work on or how archaeologists learnt to track one artist because of the irregular shape of his finger imprint that he left behind. The fragility of the environment is intriguing too. 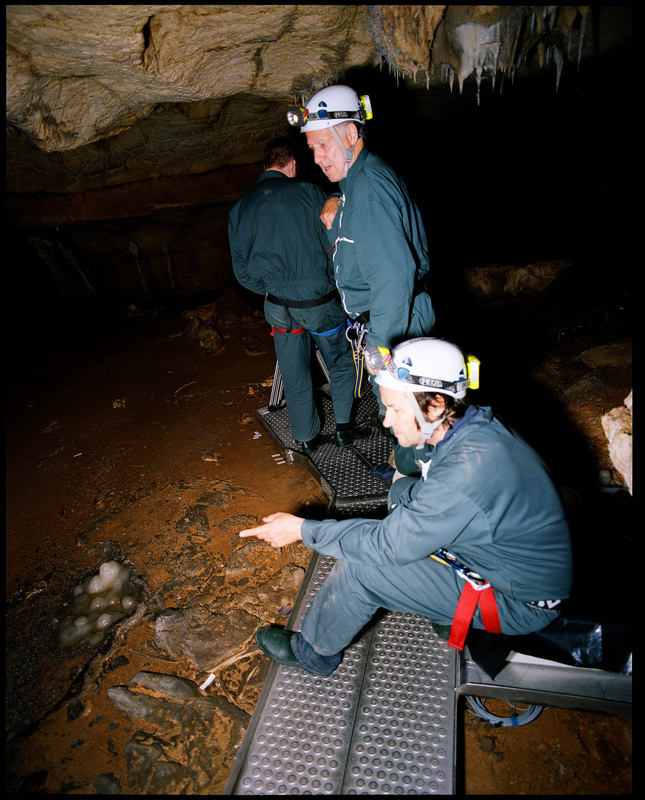 Did you know that the doorway to the caves has to be shut tight so that they can preserve the temperature of the caves? Some things never change. Or that you can’t walk off the metal tracks and onto the dust because of how unstable the ground is and the necessity to preserve the prints? I can’t say I didn’t learn anything. I also liked the scene where a scientist describes the interior craft of a spear and then rather hilarious attempts to throw it. A lot of this material is very professionally photographed and made by someone who understands films. It’s not like some documentaries that are highly informative but also amateurish in their presentation. However, unless you’re especially interested in cave paintings you might as well wait for it to be on TV. The film does make for an intelligent 3D vehicle. The film looks very sharp and the 3D subtly adds the appropriate touches of depth to long drawn passageways. For once it’s actually very noticeable. But I find it difficult to ever recommend 3D by itself. It works here but also comes in patches and you can expect a ticket price hike. There are long scenes that really don’t benefit from 3D, such as the ones in the scientists office or in the long close-up shots of a cave wall, with the camera scanning for an age. 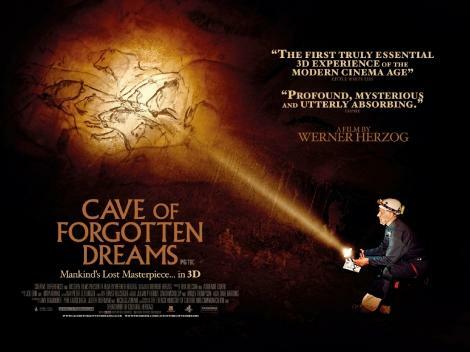 And though Herzog doesn’t make himself the focus of the film, his consistent narration and classical soundtrack deprives us of those tense silences walking through the cave and just letting the surroundings immerse you and wash over you. There is one scene though where he briefly asks for silence so that you can listen to the sounds of the cave and the heartbeats. If your cave knowledge like mine begins and ends with Batman, wait for this to be on television. But if the subject matter stands out then you’ll find this to be very professionally photographed and mostly informative, in a strictly academic sense.